Well, we have made it to the last month of summer and the air temps are beginning to cool off as the temperature of the country continues to rise. Maybe fall and winter can become a cooling off period. 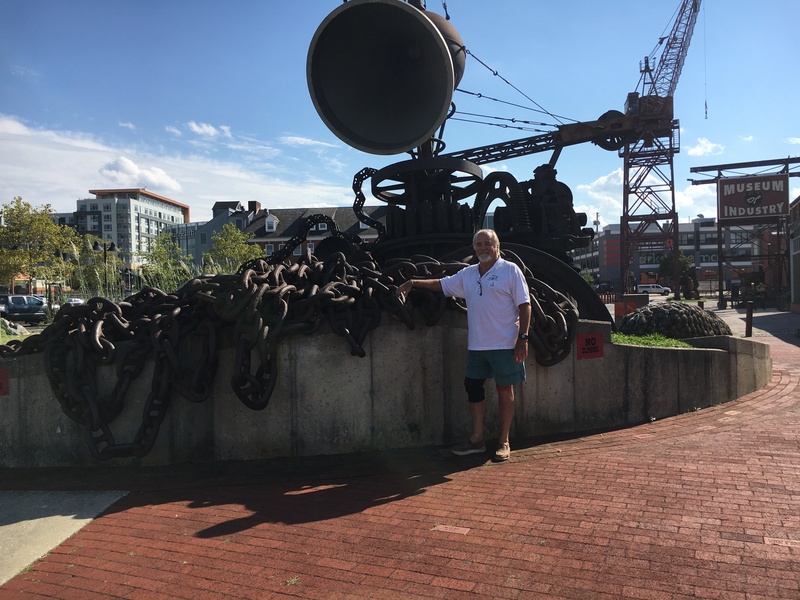 This month’s Road Trip is a blast that takes you to a museum that we all helped build…the Baltimore Museum of Industry. The watering holes nearby are pretty awesome too! You will have to check out Little Havana and the Tiki Barge! If your artistic side is looking for an adventure, check out the Solomons Plein Air Festival piece in the Arts & Entertainment section. Speaking of Solomons, Maryland, dolphins were sighted just last week in the Patuxent River. Read about “Dolphins in Our Midst” in From the Bay. I have been fortunate enough over the past two years to see these beautiful animals in the river and watch them swim alongside as I sailed. With the baseball playoffs right around the corner and football gearing up, we stopped into a renovated old favorite…Ramparts Tavern & Grill for the September Dining Out. If you are looking to watch a game and have some good eats and drinks, this is the place. Lori Welch Brown addresses how labels affect us over the course of our lives in her Open Space column. In light of the events that took place last month in Charlottesville, this is a welcome piece. The subject of our Business Profile opted out of being written about due to a conflict they are having with the “City”. We respect their wishes and have filled that space with a feature about the history behind Labor Day. This falls right in line with the piece about the Museum. I think you will learn some interesting facts about how the holiday came about. Take some time to enjoy the last few weeks of summer – fall is fast approaching and before you know it we will be gearing up for the holidays!! « Linda K. Glover- It ain’t about the dress.